I recently wrote about making sodas from the root of a common weed – chicory. Fermenting a root, often ginger, is the first step in making a soft drink. It is then mixed with whatever juice you choose, a little more sugar or raw honey for a further ferment, sealed, and that’s it. The full recipe can be found here. I found the chicory bug had a bitter flavour, but nothing that would interfere with other flavours, so it can be a good alternative to ginger. It reminded me of the flavour of tonic water, so the next challenge was to develop it into the real thing. I dug up some more chicory root while the ground is not yet frozen. The flowers had wilted but there were some tasty young green leaves at the base of the plants not to be wasted. The roots are easiest to cut up when fresh, so it’s best to chop them all so when they dry, they are ready to add to your bug. Searching for a good tonic recipe, I came across this one by David Lebovitz which I followed very closely, except I used a pinch of lavender flowers in place of the lemongrass called for. 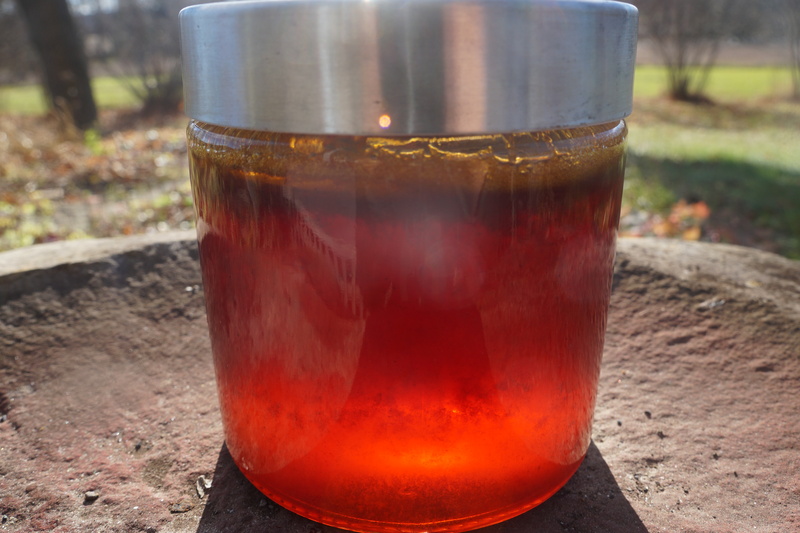 Instead of mixing the prepared syrup half and half with soda water, I fermented it with the ‘bug’, some raw honey and more water. 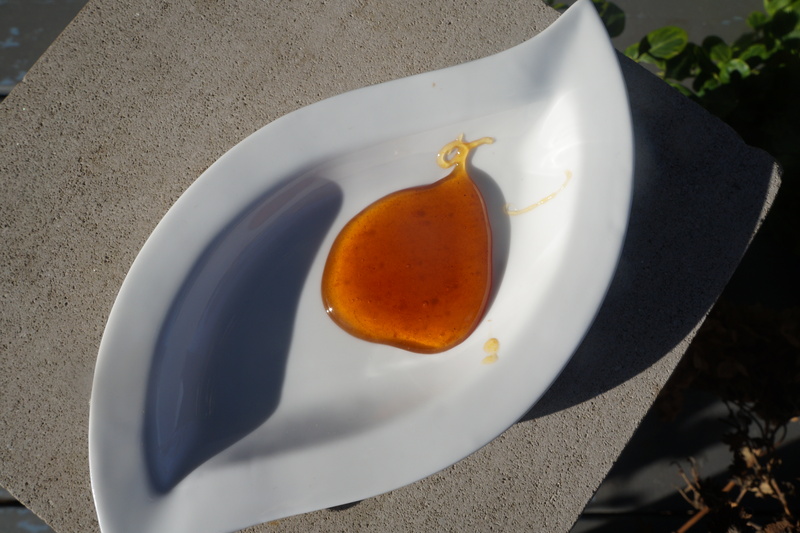 First, a little about this syrup. The ingredient that gives tonic water its distinctive flavour is the bark of cinchona (quina), a plant originating in South America but cultivated also in Asia for its medicinal qualities, one of which has been a treatment for malaria. For more about the plant, its uses and contraindications, read this. You won’t likely find this bark in your local green grocer’s, but a good herb shop should carry it, and of course you can buy it on line. It is wise to use organic fruits, especially since the peel is used. The bark, some spices, fruit juice and zest are all mixed together, heated and allowed to sit for a couple of days to make a richly coloured, super aromatic, bitter syrup. Mix these ingredients in a bottle with a sealable lid like the one in the photo above, and let it sit at room temperature for about 5 days, after which time it should be refrigerated. Even at a cool temperature, fermentation will continue, so to be safe you can occasionally release the seal and let some gas escape, then seal it up again. The syrup soda combination was very good, but the fully fermented drink was definitely superior and well worth the extra little effort. The recognizable flavour of tonic was more complex, and was so good I didn’t even feel tempted to add the usual splash of gin, although I’m sure that would be excellent too. If you don’t have access to chicory roots, any bitter, edible root such as dandelions would be a good alternative. Categories: Uncategorized | Tags: beverage, chicory bug, chicory root, cinchona bark, fermentation, Fiesta Friday, soda, tonic water | Permalink. We have had a few light frosts already but the ground is wet and unfrozen. This means it’s the best time to harvest some of my favourites, among them sunchokes or Jerusalem artichokes. I have written several posts on these tubers, but if you are not familiar with them, refer to this post. The wonderful thing about sunchokes is that they taste just like actual artichokes. Also, they grow easily and are available from October till April at any time the ground is not frozen solid. They are inexpensive and if you have your own source, they are free! On the downside, they do not store well. They can be stored in the fridge for a couple of weeks, but are best very fresh. Once cooked, they have to be consumed within a day or two, and never try to freeze them. I have found drying and fermenting the best way to preserve them – until I came up with my latest sunchoke recipe, a pesto made with herbs, roasted sunchokes and roasted almonds. This kept well in the fridge for a week, and after that I froze the remainder, and neither the taste nor the texture suffered as a result. The artichoke flavour came through perfectly, and the lemon flavour and herbs were a delicious combination. Pine nuts, walnuts or filberts would work just as well, and as for herbs, use what you like and have on hand. Chop the nuts and herbs in a food processor. Blend in the other ingredients, except the oil. Once everything is combined, add the oil slowly until you have the right consistency. Like all pestos, this goes well with any kind of pasta. No need for cheese here, unless of course you really want it. Spread on crackers or bread, it makes a super and easy little snack. Categories: jerusalem artichoke, Uncategorized | Tags: Fiesta Friday, herbs, jerusalem artichokes, pasta sauce, pesto, preserving Jerusalem Artichokes, sunchokes | Permalink. 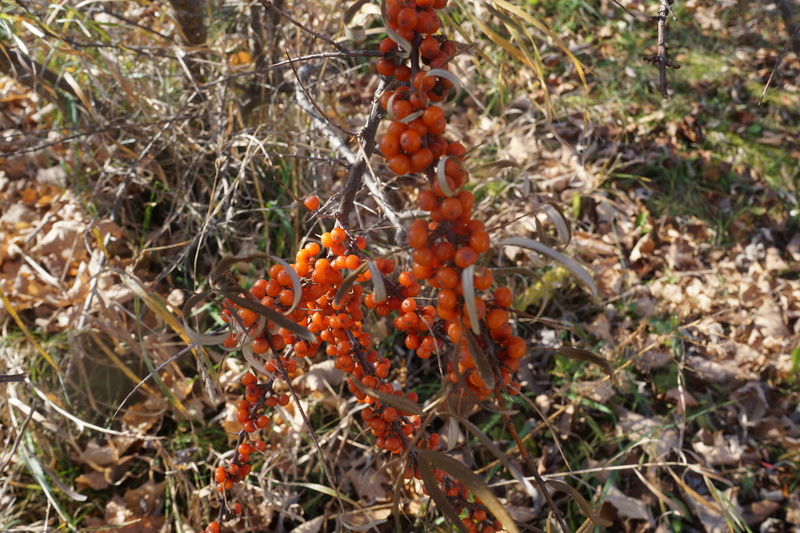 To begin with, I don’t want anyone to think that this plant is in any way related to our local buckthorn. 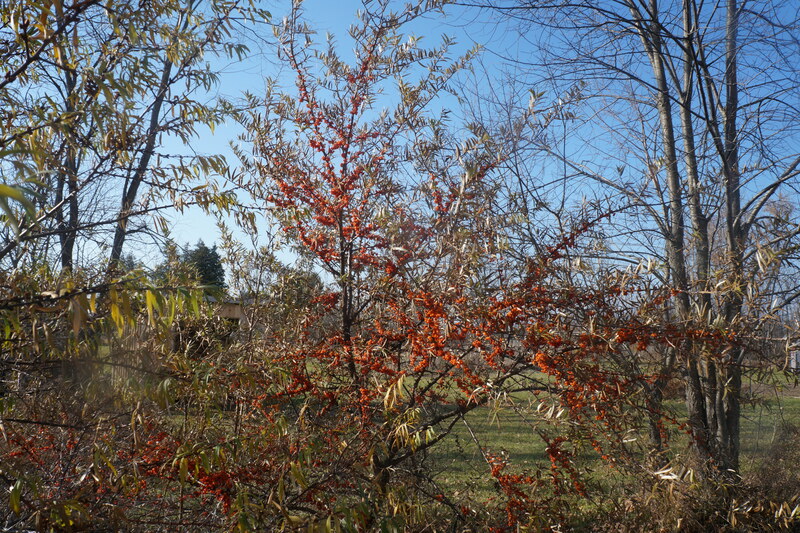 It is an entirely different plant, but the name is fitting because it does have nasty thorns on it. I presume the sea part might have something to do with the appearance of the silvery green leaves which in windy weather make a mass of them look like waves on the sea. I have no idea if that is fact or my own fiction, but it makes sense to me. 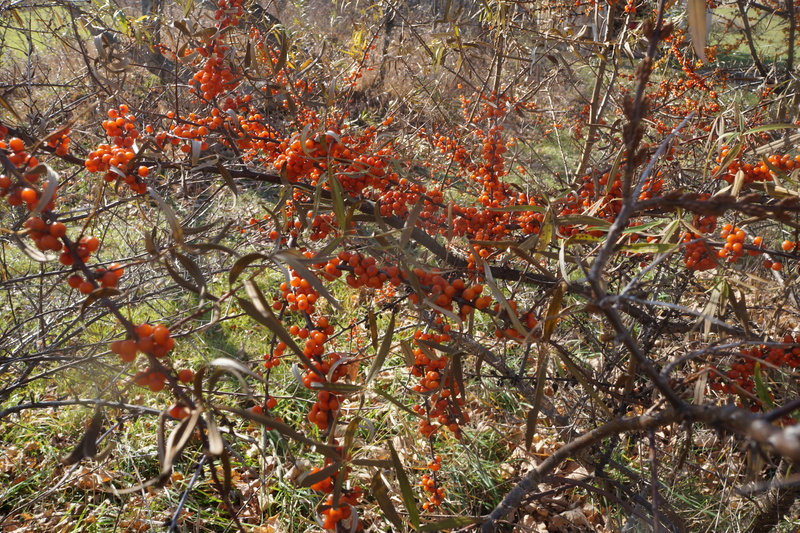 Usually found in China, Russia and adjacent countries, this berry is appearing more and more frequently in these parts. I have seen several posts and articles about people cultivating it here in North America. Small wonder considering how hardy it is, how easy it is to grow and how nutritious these little berries are. For more on the benefits of it you might read this. I believed it to be a remarkable source of everything ever since I read somewhere that Ghengis Khan had a constant supply of it for his soldiers so that they could take over the world. How’s that for an endorsement! Having made some delicious jelly with my first pickings in my last post, I decided to try something new. 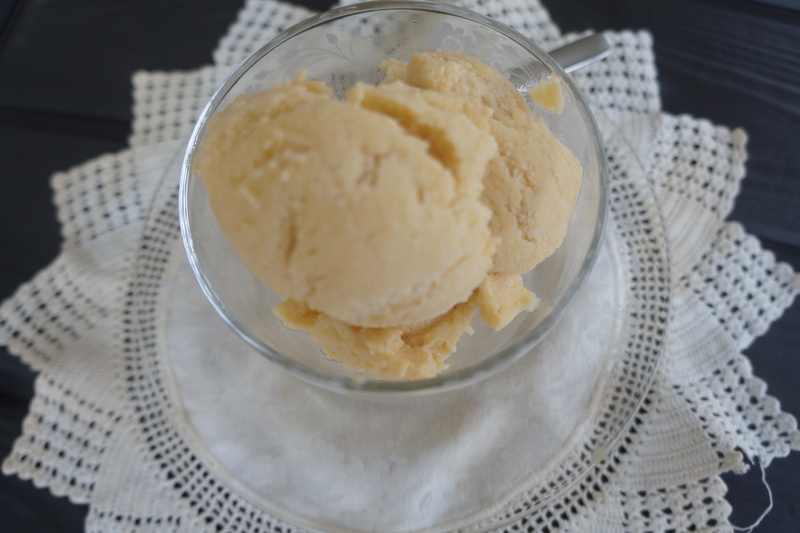 I had never made gelato before and after reading some articles on making gelato I was intrigued and encouraged by the fact that only milk, starch, sweetener and flavour are required. So sea buckthorn gelato was my choice for this week’s Fiesta Friday. The recipe requires only three ingredients, one being my recent jelly concoction. Other than that, just milk and some cornstarch. Obviously you could do this with other sweetened preserves too, so even if you haven’t come across these berries yet, you can still use this recipe for a not-too-rich but thoroughly delicious frozen dessert. If you use non-dairy milk, this would be a vegan dessert. Unfortunately I failed to think of that until after I had started – but next time. I used four cups of milk, 1 cup of jelly and 4 Tbsp cornstarch. I used one cup of milk to dissolve the cornstarch. The remaining three cups were heated with the jelly, and then the cornstarch mixture added. Bring to a boil on medium heat continuing to stir. Once it comes to a boil turn down the heat further and allow to boil while you stir for another two minutes. Cool it, then chill it well and freeze in an ice cream maker. In the absence of one, just stir the mixture around every half hour until three or four times. Put it in a freezer container and freeze for a few hours more. Compared to ice cream, this was much easier to make. It is also a lot less rich, and the reduced fat actually lets the taste of fruit come through better. 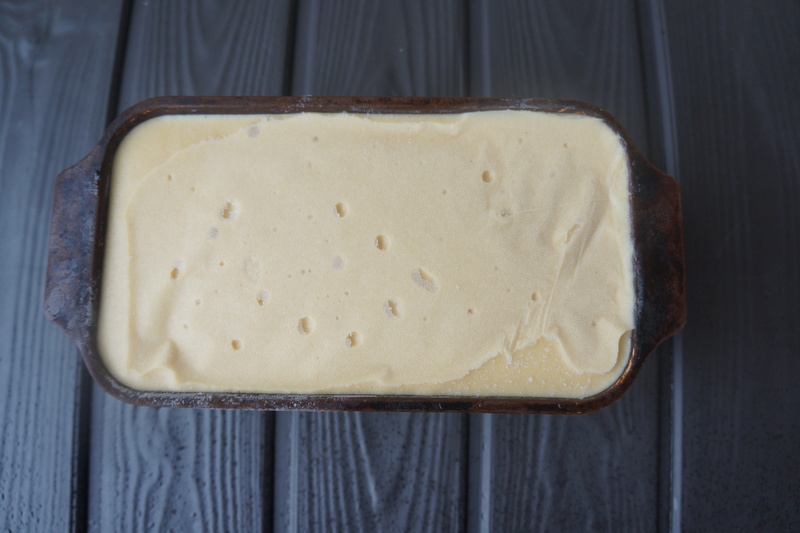 I won’t be giving up my ice-cream endeavours completely, but it will not be the last time I make gelato either. 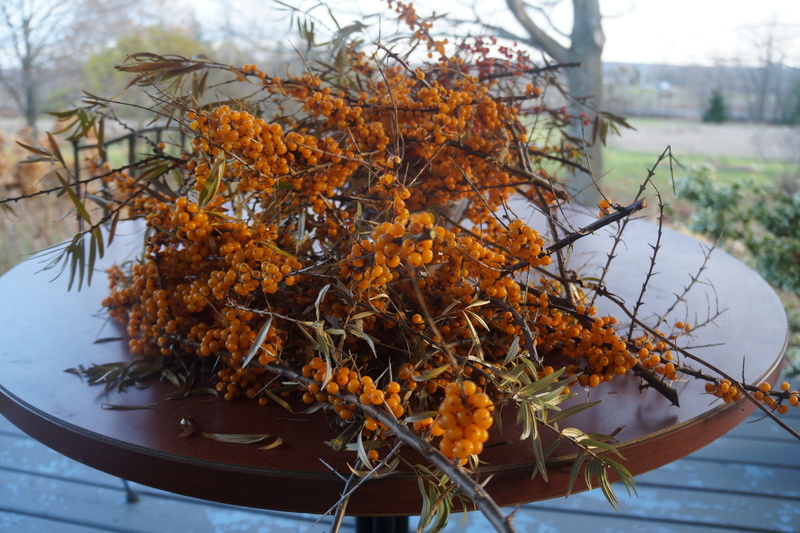 Categories: dessert | Tags: berries, Fiesta Friday, gelato, seabuckthorn | Permalink. 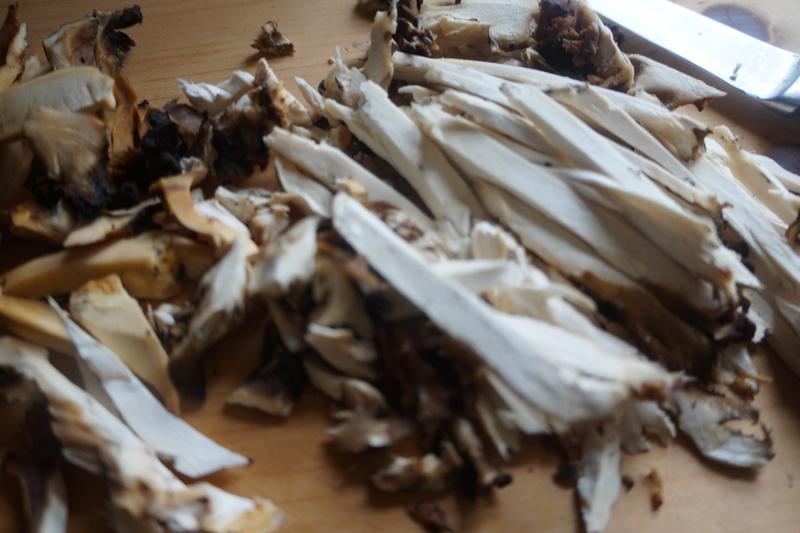 A local forager had collected an impressive amount of maitake mushrooms (grifola frondosa), and I jumped at the chance to take some off her hands. 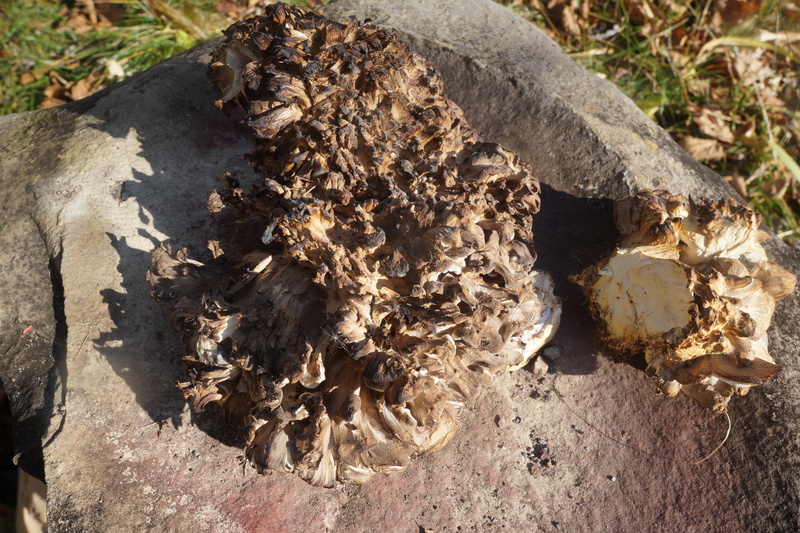 In this part of the world, apart from in Asian supermarkets, they are more commonly known as hen-of-the-woods, probably because of their clusters of spoon shaped caps resembling fluffed-up chicken feathers. Native to Japan and North America they are found in wooded areas growing at the base of trees, oaks, elms and sometimes maples. They feed off the rotting roots of the trees, and when found are often abundant. They have long been recognized in Asia for their medicinal properties, and here they are increasingly popular as a rich source of minerals, vitamins, fibres and amino acid. I had never cooked with them before, but the wonderful woodsy aroma that filled my car on the way home indicated I was in for a treat. I cooked a few immediately in a pasta dish just to try them out. Robust in flavour and firm in texture, they were unlike any other mushrooms I knew of. 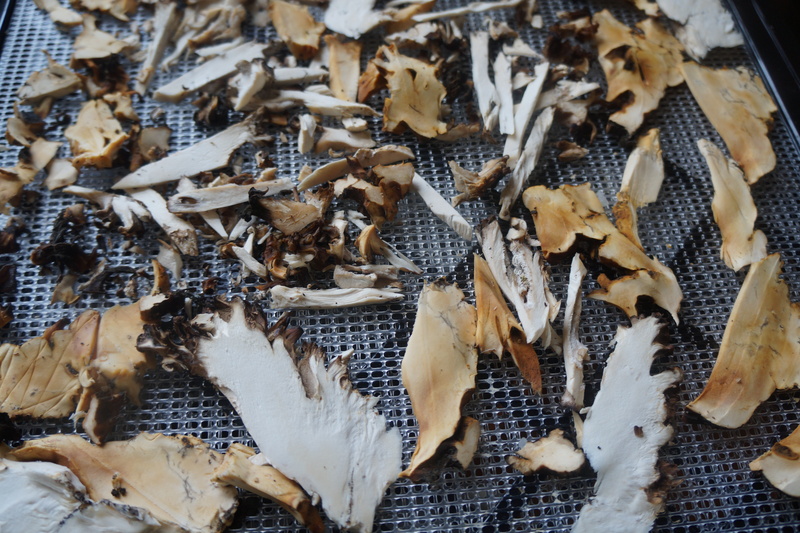 I decided to dehydrate the bulk of them, as mushrooms always seem to benefit from the drying process in concentrating their flavour. These required about 8 hours, depending on how thick you cut them, at 135 F or until they are brittle. 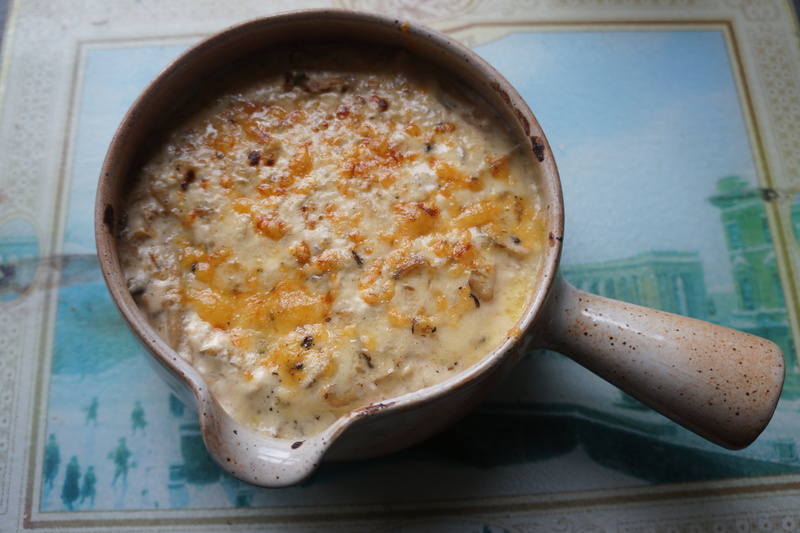 I set aside a few to make a recipe I have been wanting to make for a long time – a dish I used to have in Russia called julienne. I know that usually refers to a method of cutting vegetables, but the Russians adopted many French terms in the old days, making their own original dishes, and this is one of them. It consists of mushrooms cooked in a rich creamy sauce, and served piping hot in little clay pots or sometimes in a pastry shell. I have no recipe for this, but worked with my memory of how it tasted. I made it a little less rich by using yogurt instead of sour cream, and to prevent it from being too runny, I first strained the yogurt through a couple of layers of cheesecloth for a couple of hours to remove the excess whey. The result was a little more tart than the julienne I remember in Moscow, and not quite as smooth and creamy, but I actually liked it just as well, especially considering I made more than just a little ‘pot’ of it and didn’t want to over-indulge. The cheddar cheese is also a Canadian touch which, in my opinion, works brilliantly. Fry the onion and mushrooms until the onions are soft and transluscent. Add the seasonings and white wine and heat through to let the alcohol evaporate. Stir in the cornstarch, then the cream and the strained yogurt. Place in oven proof ramekins or a single dish, sprinkle with the grated cheese, and broil until lightly browned and bubbly. It is delicious served hot as an appetizer or a side dish. I also tried it cold as a spread with cucumbers. 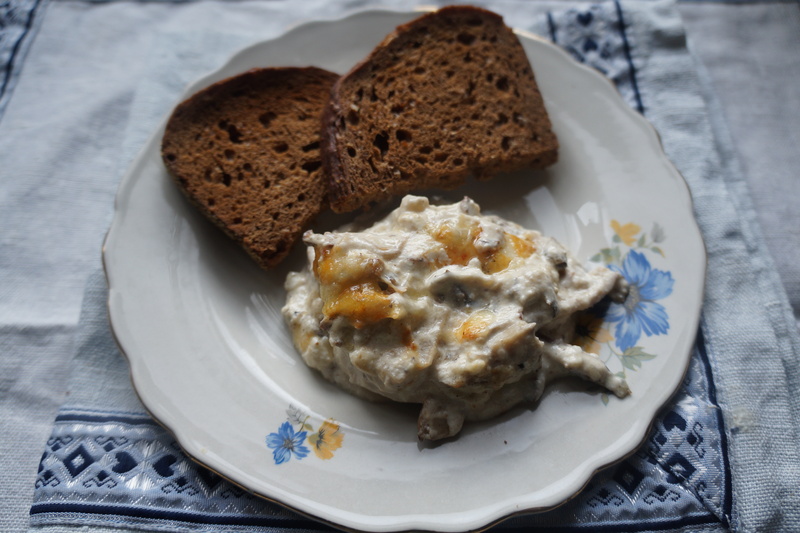 You can use any kind of good quality, fresh mushroom for this dish, but if you come across these meaty maitakes, I hope you’ll give them a try. Categories: mushrooms | Tags: appetizer, dehydrating mushrooms, hen-of-the-woods, maitake mushrooms, mushrooms, side dish | Permalink. 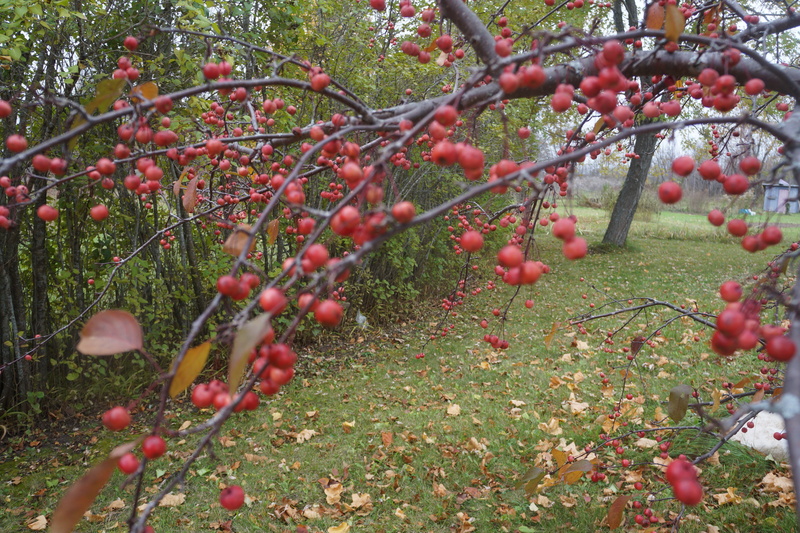 This is a good year for crabapples, unlike last year. This means I am busy preserving these delicious little fruits for use all winter long and perhaps beyond – depending on our luck next year. As I was experimenting, I ended up unintentionally with some crabapple jam. I was aiming for jellied candies, but in total frustration, just turned it into jam. 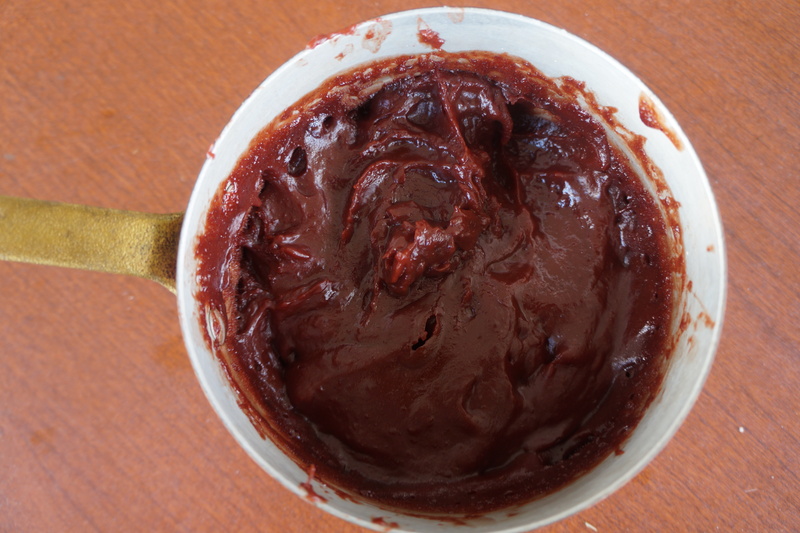 This is uncannily similar to my crabapple paste – just as easy but less concentrated. To do this, I used 6 cups of crabapples and covered them with water. After boiling them long until soft, I strained them through a food mill, ending up with 6 cups of juice. To this I added 3 cups of sugar and cooked it until it was the consistency of liquid honey. Crabapples have so much pectin in them, there is really no need for any other ingredients other than sugar and water. The flavour is much heftier than regular apples, so it is ideal for mixing into marinades, sauces and baking where you want that tart fruitiness to come through. 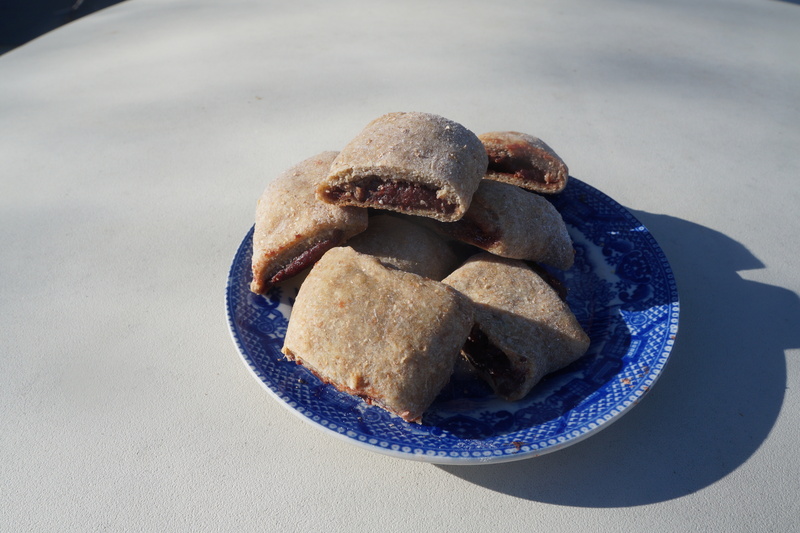 I decided to use some of the jam I made to make a filled cookie inspired by the ever-popular fig newtons. The apple flavour is strong enough that I did not need to add any other flavourings, keeping pretty much to local ingredients. If you don’t have crabapples, you could substitute any fruit jam or paste. In the case of jam, you will need to thicken it as I have done in this recipe, but a fruit paste probably won’t need any. Mix the flour and baking powder in a mixing bowl. Combine the butter, egg and applesauce and add this mixture to the dry ingredients. Combine thoroughly and knead it into a ball. Cover and refrigerate for about one hour. While the dough is resting, mix the cornstarch with the jam and heat through until thickened. I used about 6 Tbsp of cornstarch, but this will vary according to the consistency of the jam used. It should be thick like peanut butter. Allow to cool. 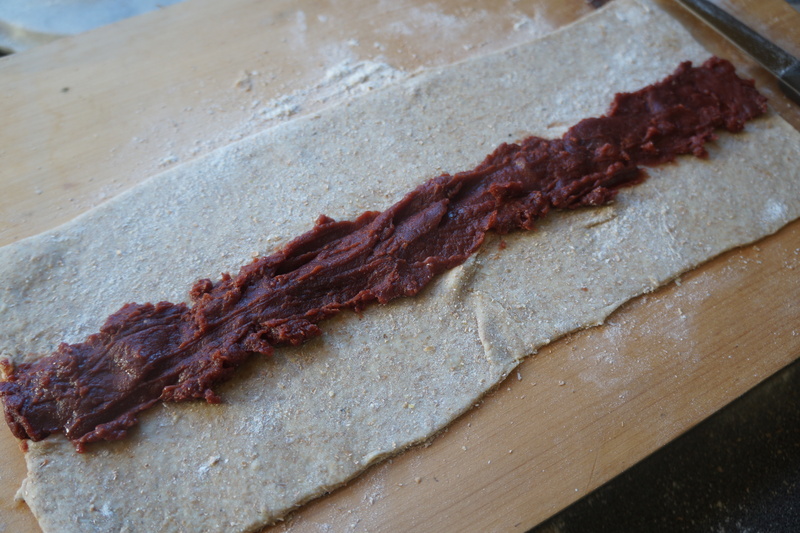 Divide the dough into four pieces and roll each one on a floured surface into a rectangle about 5 inches wide. 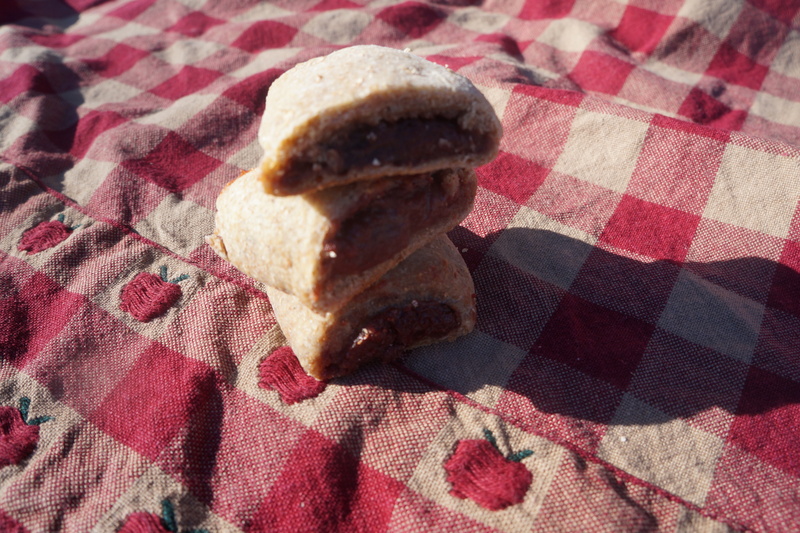 Spread the jam mixture down the middle and fold each side over the middle and seal. Place in a 350 F oven for about 15 minutes or until the dough is cooked. Remove from the oven. Allow to cool and slice. Categories: baking, foraging | Tags: cookies, crabapples, Fiesta Friday, fig newtons | Permalink.